Full press release details here. Details of how the event is scheduled. Please read the full terms and conditions of the Poetry By Heart 2017 finals events. Risk assessment documentation for all teacher-chaperones. Want to support one of our finalists? Read this for full information on how to attend the finals event. Here's a great FAQ to help answer finalists and chaperone's burning questions about the event you'll be attending! Locations, map and emergency contacts within. You're Going To Our Finals! 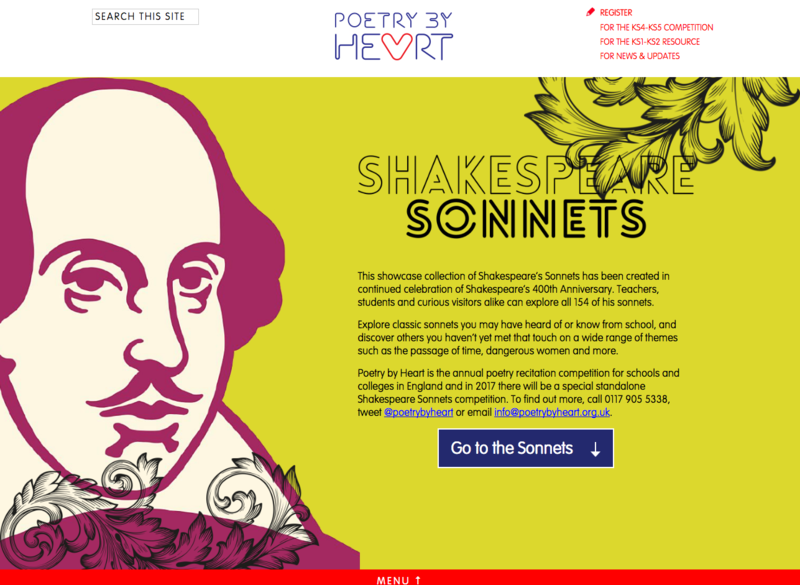 On It Like A Sonnet - Well Done! Contact details and directions for visitors. Find out how to see Poetry By Heart's Director's Julie Blake and Tim Shortis in Nottingham.